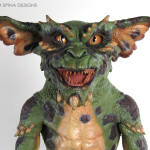 A very small Gremlins melting puppet designed by special effects artist Rick Baker for the film Gremlins 2, The New Batch. 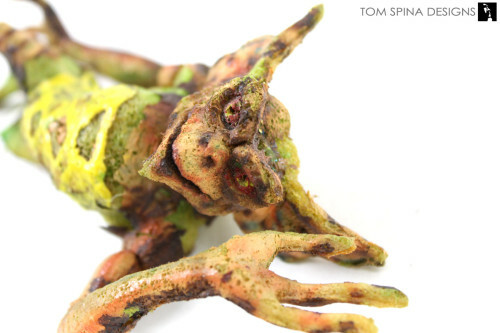 This Gremlins melting puppet prop created for the 1990 sequel’s famous melting scene is only about 6” tall. 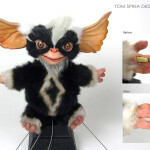 When he arrived he was missing his right leg and in need of paint touch up. 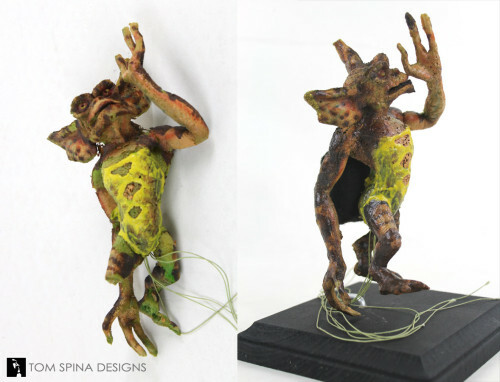 We recreated his missing leg via foam fabrication, so that it blends beautifully with the original piece as if the leg had always been there. 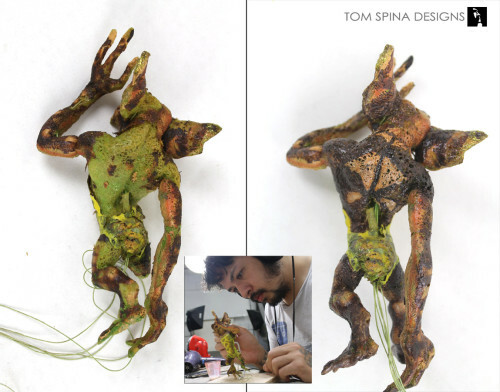 We used photos from the film to match the paint and patterns on his back and arms to make sure the restoration was a recreation of the foam puppet’s original look in the movie. 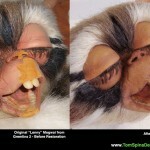 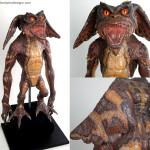 The finished Gremlins melting puppet was displayed on a simple black base so as to not overwhelm the tiny movie prop. 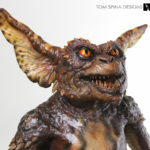 Whether it’s a full gremlin puppet made by Chris Walas for the first film, an oversized mogwai prop, or a giant bat-gremlin animatronic puppet by Rick Baker’s studio, we’ve been fortunate enough to work with quite a few Gremlins and Gremlins 2 movie props over the years, so be sure to search our other projects and check them out if you’re a fan of the horror-comedy classic! 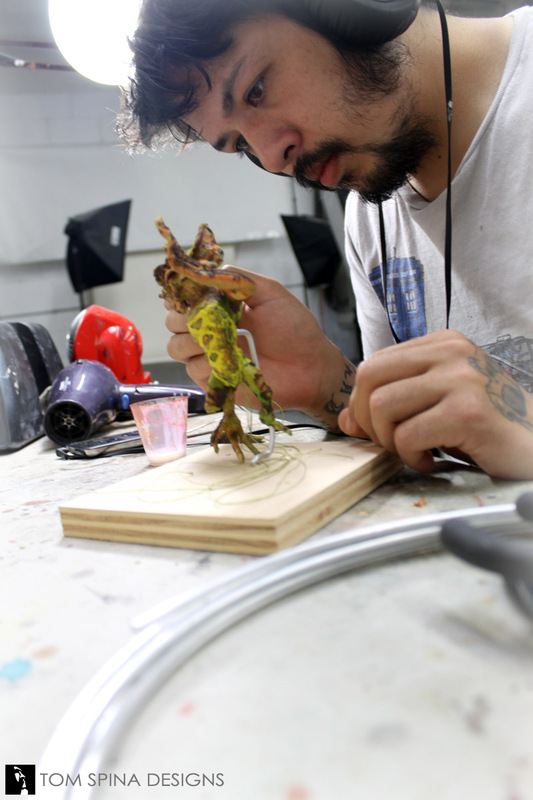 Our our experience, ingenuity and skill have made our company the trusted source for movie prop restoration and those services are available to museums, studio or prop archives, auction houses and even private collectors!